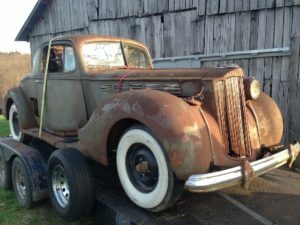 Fred Bruner who owns Max Merritt Packard Parts in Franklin, Indiana, has a fleet of Packards ranging from this 1935 120 Sedan Delivery street rod under construction to total restorations and barn finds. 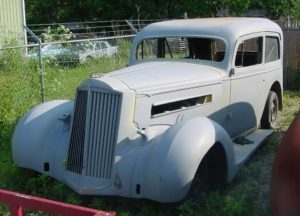 This car is titled as a 1935 120, but it has a 1937 front clip, a Cadillac V-8, and an Apollo tilt column. 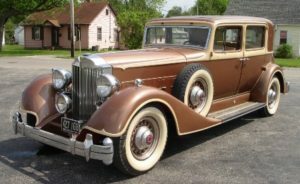 Fred has wanted to build a sedan delivery since he saw an article in the 1935 Packard Service Counselor about a 1929 model 626 sedan delivery. 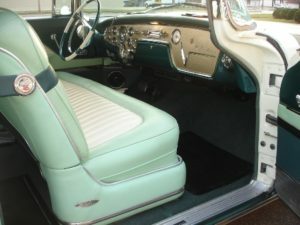 Fred’s 1955 Caribbean had a frame-on full restoration. It is all original except for a 700R4 transmission, Vintage Air, electric wipers, and solid state AM/FM tuner conversion with kicker speakers. 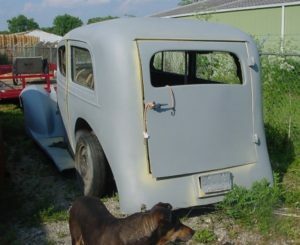 This 1934 V-12 Club Sedan was restored to original in mid 1960’s by Max Merritt and has been in the family since. 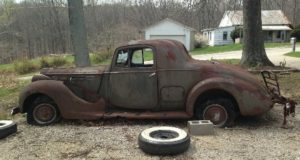 Fred described the 1938 Super 8 business coupe as “My barn find, but barn in better shape than the car! 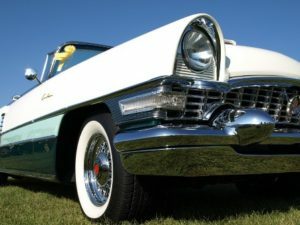 !” So is the big coupe headed to the restoration shop or to the street rod shop?